Sports Channel 8: One of the best rivalries in sports is here! And, weirdly, it feels much less hyped than usual. Maybe that’s because of Duke‘s skid a bit earlier this season or because the Carolina Panthers held local media’s attention much longer than usual. Either way, I think tonight’s game will shape up poorly for Duke. There are three scenarios at play in my mind. 1) Duke keeps the game close but runs out of gas the last six minutes (most likely); 2) North Carolina blitzes Duke out of the gate, shredding the zone and back-dooring the overplay man-to-man; 3) Duke makes a lot of threes and Mike Krzyzewski throws a bunch of junk defenses at the Tar Heel guards to get the win (least likely). The Blue Devils are really talented, but North Carolina should be able to run them into the ground on the offensive end of the floor. Orlando Sentinel: Devon Bookert and Boris Bojanovsky have been playing much better lately. Their improved play unfortunately wasn’t enough to get past Miami on Sunday, but the Seminoles are still clinging to a spot in the at-large field. From my perspective, taking care of business against Georgia Tech and Virginia Tech plus another win against either Syracuse or Notre Dame is enough to get Leonard Hamilton back into the Big Dance. What would make a world of difference is if Xavier Rathan-Mayes found himself over the next few weeks. His efficiency hasn’t dropped from last year but he’s using a lot fewer possessions so maybe there’s some slack there. Winston-Salem Journal: This is great context from Dan Collins about Bryant Crawford‘s turnover woes (Bobby Hurley, Ed Cota and Chris Corchiani all finished with more than 400 turnovers for their careers and are the top three assisters in NCAA history). Lots of turnovers means the team relies on you to make lots of plays, so in the long run, this season should do Crawford a lot of good. Assuming he can eventually get the game to slow down, it will pay off handsomely. On an unrelated note, the Demon Deacons suffered another gut-wrenching road loss to Pittsburgh last night despite a great game from Codi Miller-McIntyre (Pitt’s James Robinson also gave a herculean effort). U Sports: Speaking of which, Pittsburgh is in serious trouble. The Panthers have only three wins over likely NCAA Tournament teams this season, and one of those was against Syracuse without Jim Boeheim. Ken Pomeroy doesn’t favor the Panthers in any of their remaining games (although he predicts that they win two), but needing two overtimes to beat Wake Forest at home doesn’t bode well for upcoming games against Louisville and Duke (much less a road trip to the Carrier Dome). Barring an unlikely turnaround or a serious ACC Tournament run, Jamie Dixon’s squad looks like an NIT team. Streaking the Lawn: This is a good look at what Virginia needs to do to earn a double-bye in Washington, DC, in a few weeks. The top of the ACC is very crowded and will become even more so if Duke manages to beat North Carolina tonight. Six teams hold four losses or fewer, although Louisville no longer counts for ACC Tournament consideration. And thanks to unbalanced scheduling, there are six games left featuring teams vying for the double-bye. Hold on to your butts! EXTRA: This is a good podcast featuring Jerry Stackhouse talking about his recruitment to North Carolina. After Friday afternoon’s bombshell announcement that Louisville was self-imposing a postseason ban, the attention returned to the play on the floor for fourteen ACC schools this weekend. In a rarity, five league road teams were favored in the seven matchups, but only three managed to extract victories. In the marquee contest, Notre Dame continued its recent run of superiority over the ACC’s two most storied programs, as the Irish rallied for a big upset win in South Bend over North Carolina in ESPN’s prime time game on Saturday night. Earlier in the day, Virginia Tech also pulled off a mild surprise as the Hokies edged Clemson in Blacksburg, significantly damaging the Tigers’ postseason hopes in the process. In other action, the ACC’s two leading scorers dueled in Durham, with Grayson Allen and Anthony ‘Cat’ Barber putting on a show as Duke defeated N.C. State for the second time this year. Here are some of the highlights from a busy weekend around the ACC. Burning Question: How quickly can Leonard Hamilton assimilate his talented recruiting class? Leonard Hamilton has had a reputation as a crack recruiter for a while (the buzz reached its peak when it looked like Florida State might land Andrew Wiggins), but as a result of the school’s relative lack of investment in basketball, he’s only landed three McDonald’s All-Americans during his 13 years in Tallahassee. Von Wafer certainly didn’t push Hamilton’s team to the next level, but Michael Snaer and Chris Singleton were big parts of some of Florida State’s best teams of the last decade (2009-11). What he hasn’t had in raw talent, Hamilton has made up in player development. His best teams have relied on a stout defense that is usually anchored by upperclassmen. The Singleton and Snaer squads combined rim protection with elite on-ball defenders (both were among the best defenders in the country), but in recent years that formula has fallen short. That’s not to say the Seminoles have been awful, but they simply haven’t been able to reach the outstanding defensive efficiency of those teams. This year’s bunch may again have some question marks on the defensive end, but it also has a chance to be different in that it may be the first elite offensive team Leonard Hamilton has coached in a long while. Walker Carey (@walkerRcarey) is an RTC Correspondent. He filed this report following Saturday night’s game between Florida State and Notre Dame. 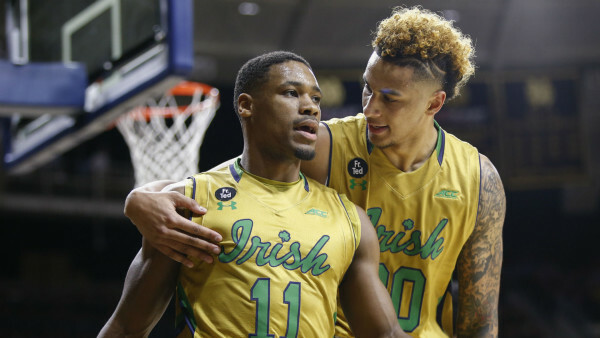 Notre Dame’s 15-17 campaign from a season ago seems to be long forgotten as the Irish moved to 10-1 Saturday night with a dominating 83-63 victory over conference foe Florida State. The fact that the Seminoles feature three seven-footers on their roster did not phase the Irish frontline, as junior big man Zach Auguste turned in a career-best performance with 26 points on 11-of-15 shooting. 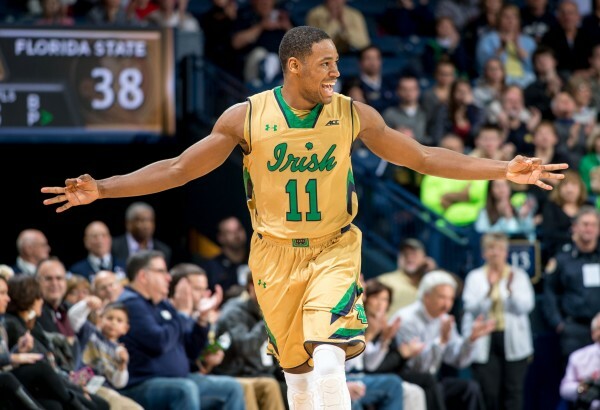 Saturday night represented quite the bounce back performance for Auguste, as he struggled mightily in Notre Dame’s last game against a power conference opponent, finishing with just four points and four rebounds in December 3’s victory over Michigan State. The following are three takeaways from Saturday evening’s action. This team preview is part of the RTC ACC microsite’s preseason coverage. You will find a list with links to all the team previews on the ACC Microsite Preview Page, located here. Can Leonard Hamilton’s squad finish in the top five of the ACC? On the surface this question may seem ridiculous. Most previews have Florida State picked to finish somewhere in the middle of the pack, and you have to expect that Duke, North Carolina, Louisville and Virginia will all be very good teams. And that doesn’t even mention perennial powerhouses Syracuse and Pittsburgh. The Seminoles also lost Okaro White and Ian Miller, but hear me out. I’m betting we’ll see more smiles from Leonard Hamilton this year (Glenn Beil/Democrat). Florida State has a favorable schedule: All four of the opponents it sees twice (Clemson, Pittsburgh, Miami and Virginia Tech) are beatable. They get Duke and Louisville in Tallahassee. Also the former Big East powers are due for down years after both the Orange — Tyler Ennis, CJ Fair and Jerami Grant — and the Panthers — Lamar Patterson and Talib Zanna — lost major productivity from their rosters. That potentially leaves a vacuum just below the elite tier where a school like Florida State could finish. There are also dueling x-factors here: Will Boris Bojanovsky and Michael Ojo continue making strides; and can the offense limit its turnovers? Neither question is a new one for this team, but there’s reason to believe the first will come true. The second may be less important: Hamilton has never coached a team in the top-100 in turnover percentage, according to KenPom, but he’s coached plenty of good teams over the years to earn the benefit of the doubt. With the start of the ACC college basketball season rapidly approaching, allow us to put on our psychoanalyst’s hat to determine what’s on the mind of each of its 15 member programs right now. Some are of the optimistic variety, while others are fearful at what they see lying ahead. All of them, though, are hoping to contribute to discussions lauding the ACC as the nation’s preeminent college basketball conference this year. Let’s jump into each program alphabetically. Boston College: Blind optimism. The reality is that the Eagles, even with an all-ACC caliber star in Olivier Hanlan, are likely one of the three worst teams in the conference. But there’s a new coach around in Jim Christian, and thanks to the usual roster turnover, few remaining pieces to recall the 8-24 debacle of a year ago. Buying in to a new coach and system may not be a problem, but production on the court will continue to be. Clemson: Loss. That loss is a huge one, in the departure of NBA draft pick K.J. McDaniels, who was their best player on both sides of the ball last year and led the team in four statistical categories. A 10-win improvement from the year before earned Brad Brownell a six-year contract extension, but how will this team score enough to win even if it replicates its defensive success of a year ago? Duke: Motivation. Not just because of a stellar recruiting class that includes their first dominant center in some time in Jahlil Okafor and the overall potential to be in the mix for a championship. There’s also the internal motivation for Quinn Cook to keep a hold on the starting point guard role in light of the arrival of stud freshman Tyus Jones, and Rasheed Sulaimon’s motivation to show that an early-season slump last year (temporarily earning him a place in Coach K’s doghouse) was an aberration. Oh, and that first round NCAA Tournament loss to Mercer could light a fire of some sort, too. ACC Big Men Have Bright Futures: Will Their Teams Follow? It is often bandied about that guards win games (along with defense) because they have the ball in their hands most often and thus affect the action more than other positions. While this is certainly a valid viewpoint, interior post players can often mean the difference between a championship team or a bubble team. The popular mindset is that big men take longer to develop in the college ranks because of the learning curve required to manage their combination of power, size and dexterity. Most post players come to the Division I ranks with a limited post game but raw with athleticism and length, prized characteristics that NBA GMs in every professional franchise covet. The ACC this season is rich in young frontcourt talent that is likely to stay for more than a year in the collegiate ranks. North Carolina is a great example of the conference’s youthful exuberance in the post, sporting a terrific breadth of versatility in that regard. Kennedy Meeks and Brice Johnson are the tip of the iceberg, both terrific rebounders with vastly different approaches. At 290 pounds, Meeks is a strong and sturdy freshman who isn’t a terrific leaper but uses his body and angles to score and rebound the offensive glass very well. He also possesses one of the nation’s best outlet passes, a perfect conduit for guards Nate Britt and Marcus Paige to start Roy Williams’ break. Johnson, on the other hand, is a long beanpole of a forward who has had a breakout sophomore year for the Tar Heels, ranking fourth in ACC field goal percentage at 54.5%. UNC’s frontcourt depth doesn’t completely end there, though, as the Heels also have 6’10”, 280-pound sophommore Joel James, who is a load in the paint but hasn’t found consistent playing time this season. Freshman Isaiah Hicks too has a bright future ahead of him at UNC; the McDonald’s All-American recorded seven blocks and pulled down an insane 30 rebounds in his state’s high school championship game last year. But the ACC’s young frontcourt brigade of talent doesn’t end in Chapel Hill. Troy Nunes is an Absolute Magician: Here’s a good brief context piece on where Syracuse is this season. The national media has started paying attention to college basketball again, and not surprisingly, as one of the best teams in the country, Syracuse has been getting its fair share of love. So has Tyler Ennis. But we’re just now getting to the point in the season where people start talking about undefeated seasons. Here’s where I (mostly) side with Sean Keeley: Syracuse isn’t going undefeated. Trips to Pittsburgh, Duke, Virginia and Florida State all but guarantee that. In fact, four of the team’s last five games are on the road. My only disagreement is that I think Wichita State has a reasonably good chance to finish the regular season undefeated. Not a great chance, but not zero either. Keeley nails everything else. Charleston Post and Courier: Don’t look now but Clemson is 4-1 in conference play. Yep, the same Clemson we picked eighth and the conference media picked –gulp, 14th — is tied for second in the loss column (along with Pittsburgh and Virginia). That said, it’s about to get real for the Tigers. They play five of their next six games on the road, including trips to Pittsburgh, North Carolina, Florida State and Syracuse. Yeesh. The most winnable game there looks like — double gulp — at North Carolina? Clemson has to find a way to keep its collective head over the next couple of weeks, or our 7-9 finish with a trip to the NIT prediction might not look too far off. Tallahassee Democrat: Florida State’s Boris Bojanovsky and Michael Ojo are totally different players this season, but Tony Bennett did a good job shutting the pair down by doubling them every time they got the ball in the post. I’m not sure how long the tactic will be effective though because both players measure over seven feet. So long as they keep their heads about them when doubled, they should be able to pass out to an open player. But if this proves an effective strategy for other teams (which admittedly won’t have double-teams as readily accessible as Bennett’s pack-line), it could spell trouble for the Seminoles. Real GM: Awesome stuff from Dan Hanner, who took a look at how teams have fared with and without different players in the lineup. From the ACC, he has stats for Notre Dame, Maryland, North Carolina, NC State and Georgia Tech. Most surprising was Jordan Vandenberg‘s defensive impact: Without him in the lineup NC State’s defense is 11.1 points worse per 100 possessions. That’s a huge difference. By comparison, Georgia Tech is only 2.1 points per 100 possessions worse on defense without Robert Carter, and Notre Dame is 3.7 points per 100 possessions worse without Jerian Grant. The sample size for a lot of this is pretty low, but still great to see the trends. Sports Illustrated: Seth Davis spends a good amount of time discussing Bruce Pearl to kick off his weekly “Hoop Thoughts” column. 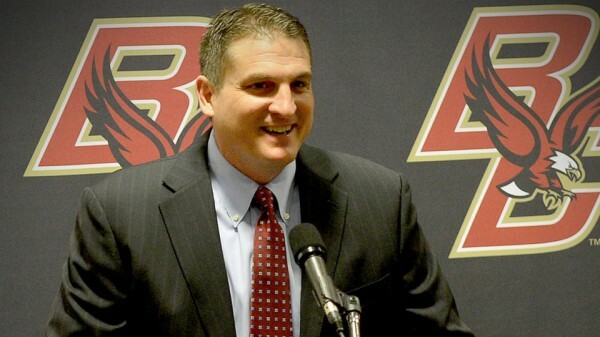 He notes several things of interest: (1) Pearl is a Boston College alumnus; (2) Pearl “has received several serious inquiries from Division I schools to be a head coach, but as he put it, ‘the opportunities were not at the level that I would be interested in. '” The first we already knew, but it is worth a reminder that Boston College sits at 5-13 on the year. The second point is interesting because Pearl’s show-cause doesn’t expire until August this year. That makes me think that the offers were from low-major schools hoping to hit a home run. And while the Eagles probably wouldn’t pay Pearl quite what Tennessee did (partially because his market value dropped with the NCAA business), that’s somewhere where “at the level” makes more sense. Food for thought. Tallahassee Democrat: Boris Bojanovsky is a totally new player this season (so is Michael Ojo for that matter, but that’s for another story). After playing basketball in Spain, the athleticism and speed of the game required the 7’3″ center to ratchet up his intensity. This year, those adjustments are paying off big. Currently Bojanovsky is shooting almost 75 percent from the floor and leads the Seminoles in blocked shots. He still needs to work on remaining on the court, though, as he and Ojo tend to draw more whistles than they commit fouls. Charlottesville Daily Progress: Pretty sure Virginia has now entered the danger zone. The Cavaliers gave up 87 points at Tennessee (where NC State won last week) and lost by 35 in a pitiful performance. If Jon Pence’s numbers are right, Tennessee finished the game with an offensive efficiency of 142.6, which is Virginia’s second-worst defensive showing in the Tony Bennett era (the first coming in 2010 against Washington). To put that number in context, it would be Boston College’s worst-game defensive efficiency of the season. Somewhat troubling is that this is the second poor defensive performance by the Cavaliers in as many games. Rust coming out of the break may have played a factor — and Tennessee making everything it shot, including a half-court buzzer-beater to end the first half certainly contributed — but this performance is inexcusable for a good defensive team. Backing the Pack: NC State owned double-figure leads in the second half of its last five games, but all those leads were cut to at least five and the Wolfpack lost the game to Missouri. The trend is concerning, but it also makes some sense with a young team. Even more important factors are an inexperienced primary point guard, streaky shooting, and an over-reliance on TJ Warren’s offense. The experience part will change over time, but Mark Gottfried needs to keep working on his team’s execution with leads, as conference teams will look a lot more like Missouri than Detroit. On the bright side, the transitive property says NC State will beat Virginia by 42 at a neutral site. Baltimore Sun: Mark Turgeon may be “starting over” now that Seth Allen is back in the lineup, but he’s got a lot of work to do before the NCAA Tournament Selection Committee joins him. Also, North Carolina Central isn’t a team to overlook (just ask NC State), but it could be a deal-breaker come March. That said, Turgeon’s coachspeak is exactly what the Terrapins need right now, with one primary exception. They need to remember they’re 1-0 in road conference games. That’s big. So is avoiding the inaugural ACC Tournament Wednesday slate of games. Inside Carolina: That sound was everyone in Chapel Hill collectively exhaling. Roy Williams quieted some of the retirement rumors recently spurred by Jason King’s Bleacher Report article on his radio show by noting that “I’ve wanted to go six to 10 more years” despite his wife wanting him to quit a decade ago. The x-factor is obviously his health, but it’s clear he wants to keep coaching while he still can. He also talked about Joel James’ return, which Williams expects to happen in the second or third conference game, depending on his continued progress. CBS Sports and NBC Sports: After Duke lost another game to a very good team after leading most of the game, the popular question is whether or not the Kansas and Arizona losses are reasons to toss Duke out as a national contender. There’s no doubt, the losses bring up some concerns (though my question was “Why did Mike Krzyzewski randomly start playing zone?”). But not many teams are as big and athletic as Kansas and Arizona. Those are tough match-ups for Duke, which is still a young team. It’s not a surprise they struggled. The other story that didn’t get a ton of publicity after the game is how quiet Quinn Cook and Rasheed Sulaimon were in the second half for Duke. The backcourt holds the key. NBC Sports and Tar Heel Blog: Speaking of raising questions, North Carolina didn’t exactly silence its doubters by losing a close game at Roy Williams protege Jerod Haase’s UAB Blazers. The Tar Heels got killed on the boards, and the Blazers concentrated on stopping Marcus Paige with considerable success. Look for Michigan State to key on Paige again this week. Until someone else shows the ability to be the man in his place, there’s no downside. That said, I personally wouldn’t be surprised to see the Tar Heels pull out the win because (1) I have no idea what to think about this team and (2) Roy Williams is Tom Izzo’s kryptonite. Burlington Times-News: NC State looked significantly better against Eastern Kentucky and showed the ability to score against a zone–albeit a shorter, less athletic one than Syracuse will trot out in ACC play. Promising signs came from Jordan Vandenberg, who set a career high, and TJ Warren, who managed 26 points in the second half. This team is already improving, which is a good sign. To keep up his success on the recruiting trail, Mark Gottfried needs to keep showing player and program development. 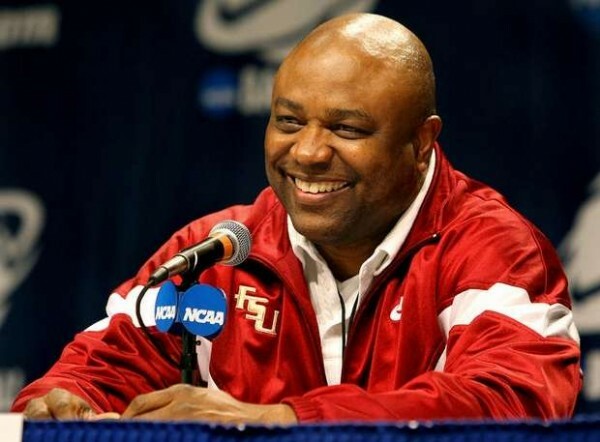 Tomahawk Nation: If you haven’t watched Florida State, you should know that Leonard Hamilton’s team looks for real. The Seminoles came a touch-foul away from taking Florida to overtime on the road. Michael Ojo and Boris Bojanovsky looked terrific. The twin sophomore towers kept the game within reach. Ojo in particular is a completely new player. Hamilton is the best coach in the league at developing big men. Last year Ojo looked completely lost. This year, he still has his moments, but is much more confident with the ball and is a terror on the boards. This team is good (much better than anyone predicted), but the next couple years could really be special. Duke Basketball Report: Barry Jacobs took a look at the hottest ACC teams historically from downtown. Number one? Virginia Tech. Yep, this year’s Hokie team is shooting an unbelievable 45.5% from deep. This year’s Duke team is third on the list. Notre Dame and Pittsburgh also check in at over 40%. Unfortunately for Virginia Tech, that percentage is likely to drop, which will hurt its already mediocre offensive efficiency. EXTRA: Joe Harris has ups.